- PNG Files are saved as approximately 7x7 inches so they can be used for larger Clipart, printed, or shrunk for smaller projects without losing quality! The individual PNG Files are the ones shown in the photos. 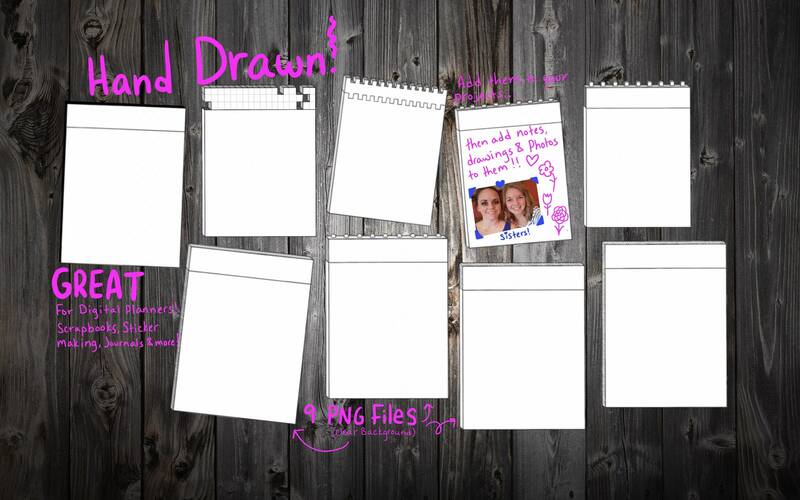 These are perfect for adding to your digital planner or scrapbook or print them off and use them as needed!